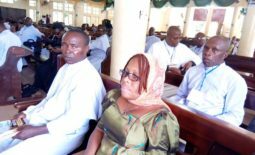 Christian faithful of 82 Division, Nigerian Army Enugu came out in their numbers on Sunday to join members of Association of Persons Living with Sickle Cell Disorder in thanksgiving at St Martins Catholic Church 82, Division Enugu for a hitch free 2018 World Sickle Cell Celebration. In his homily, Lt. Col. Rev. Fr. Nwankpa, who was the chief celebrant emphasised on the need for living a sacrificial and exemplary life. He urged the congregation to always see to the welfare of others and try to help in situations they can, as only when we help others can we get the help we need. He also talked about the need for Christians to embrace challenges, and stir away from discriminating people who they feel they are better than. He continued that the life of a Christian should be a guide for others. The thanksgiving mass was an annual opportunity of the Association to thank God for his numerous mercies for the year. 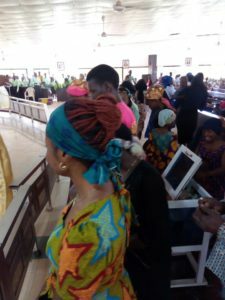 This year’s event was not short of the usual sensitization that tallied with the event, as the coordinator of the Association, Aisha Edward, sensitized the Congregation on the essence of knowing their genotype, and the implications of such ignorance. 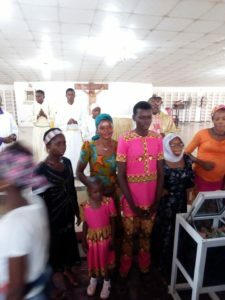 She admonished every member of the Church to ensure that they are aware of their genotype, also to ascertain the genotype of their partners before any sexual engagement; as such awareness on genotype would limit the increase of persons living with sickle cell disorder in the country. Aisha also applauded the efforts of the GOC, Major Gen. AB Abubakar for his relentless efforts in unifying different tribes and building a stronger nation with the Barracks. He praised the GOC for his immense support in ensuring that every member of the barracks feels the overwhelming comfort of being at home regardless of their ethnic or religious background. She also appreciated him for his support in the sickle cell sensitization campaigns, and urged other Nigerians to emulate his strides. 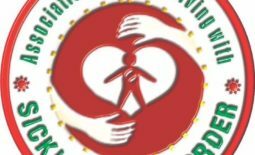 The Thanksgiving attracted persons living with sickle cell disorder from different states of the federation, especially the South East states where the 2018 World Sickle Cell Day Sensitization Campaigns had reached. 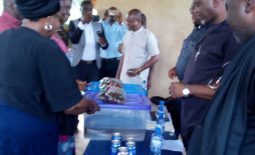 APLSCD CELEBRATES 2018 WORLD SICKLE CELL DAY IN A UNIQUE STYLE	BISHOP SAMUEL EZEOFOR REKINDLES APLSCD JOY AS HE THROWS HIS WEIGHT BEHIND THE GROUP.